Bollywood filmmaker Madhur Bhandarkar on Thursday censured filmmakers who returned National Awards and honours to protest the "rising intolerance" in the country as "selective activism", which he claimed won't do any good. 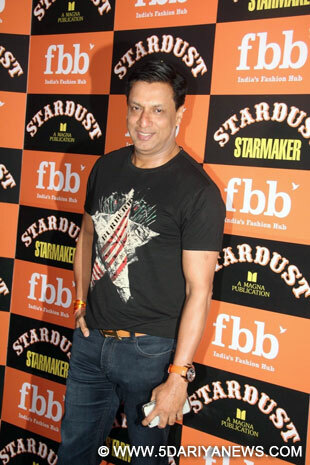 "Awards, particularly the National Awards, are a recognition of a filmmaker's talent and are given after seeing the potential of a film in raising awareness about issues concerning our society and our day-to-day lives", Bhandarkar said here.He was here as part of a two-day film festival titled 'Kashmir Moving Images Festival', which began on Thursday in summer capital Srinagar. "Many things have happened in our country, but in no way has such a situation arisen that people should return awards. "Why didn't they (filmmakers) return awards on Kashmiri migrant Pandit issue, 1984 anti-Sikh riots issue, Bhopal gas tragedy issue...Why this selective activism now," asked the award winning filmmaker of movies like "Chandni Bar" and "Fashion". Many prominent writers, filmmakers and others have returned awards as a mark of protest against various issues. These include the murder of famed progressive thinker, M.M. Kalburgi, who was accused of derogating religion and was killed in August this year; and even the inaction of the government regarding demands of FTII students.The award returnees say the government is doing little to curb the "growing intolerance" in the country. "Returning awards isn't good and won't serve any purpose. "What happened in Dadri can't be justified, but secularism isn't a one-way road. It is a two-way path, but there were so many issues in our country. Why didn't these people return awards then," Bhandarkar said in reference to the lynching of a man over beef-eating rumours in Uttar Pradesh.Earlier, the Bollywood filmmaker met former state Chief Minister Farooq Abdullah here and said he felt ecstatic while meeting the humorous and witty Abdullah. Deputy Chief Minister, Dr. Nirmal Singh today chaired a meeting to review the progress made in the establishment of permanent campus of Indian Institute of Technology (IIT) in the State.The Deputy CM said that the procedural formalities for starting the construction work of the premium institute should be expedited and the possibility of starting the classes in the temporary campus should be explored.The meeting was attended by Divisional Commissioner, Jammu Dr Pawan Kotwal, Commissioner/Secretary Higher Education, Sarita Chauhan besides senior functionaries of Education, R&B, Forest and Wild Life department.The Deputy CM directed the officers of PWD (R&B) Department to complete the procedural formalities for starting the construction of boundary wall around the 3400 kanal land identified near Khanpur Jagti for setting up permanent campus of IIT.He also instructed the officers of PHE and PDD department to ensure supply of uninterrupted water and power supply to the site whenever required. It was informed in the meeting that IIT committee, which visited the site, had demanded that an additional 250 acres land should be made available for their long term construction plans near the IIT campus.Asking for early appointment of faculty and meeting other requirements, the Deputy Chief Minister asked the authorities to explore the possibility for starting the classes at temporary campus from next academic session. Others present in the meeting were Additional District Development Commissioner Jammu Anuradha Gupta, Chief Engineer PWD (R&B) Alok Mengi, Chief Conservator of Forest Wildlife Department, Jammu A K Gupta, Chief Conservator of Forests Jammu, Roshan Jaggi, Nodal Principal GGM Science College Prof Ajeet Angral and Regional Director IGNOU Jammu KK Bhat. To stem out the transfer mafia from the department, Minister of Education, Naeem Akhtar, Thursday said the Department of Education will do away with the traditional, round-the-year transfer system and affect transfers only twice in an academic year. "The transfer of employees in J&K has become a lucrative industry, but the changes made in the education department have broken the backbone of transfer mafia. From next academic year, education department will issue transfer orders only on two occasions; once during winter holidays in Kashmir, and in Jammu region during summer holidays," Mr Akhtar said. The education minister was speaking at the Annual Day function of Government Higher Secondary School, Halmatpora. He was also accompanied by Rural Development Minister, Abdul Haq Khan, MP Rajya Sabha, Fayaz Ahmad Mir, MLA Kupwara, Bashir Ahmad Dar, Director School Education, Shah Faesal, DC Kupwara, Rajiv Ranjan, SSP Kupwara, besides officers of civil and police administration.Mr Akhtar said the Education Department has brought many schools under the process of rationalization which will ensure that quality education is provided to students. "I faced a lot of criticism on the process of rationalization, but the people of Kupwara were the only ones who assured their cooperation. Under the leadership of Mufti Mohammad Sayeed, people have started realizing the importance of education which is why the focus has come back on education," he said.Regretting the lack of faith among people towards the government run schools, the Minister said the people end up paying double for the education of their children by enrolling them at private schools. "It is the people who run both the private as well as the government schools. The later are funded by public exchequer, but we also pay for the education of our children at private schools," he said. The CBI has registered a case in an arson attack at a Faridabad village in Haryana that left two Dalit children dead and their mother battling for life.A First Information Report (FIR) was filed against 11 persons on charges of murder, voluntarily causing hurt, rioting with deadly weapon and under the Scheduled Caste and Scheduled Tribe (Prevention of Atrocities) Act, 1989. The central agency has taken over the case from Haryana Police. Those named in the FIR are Balwant, his son Dharm Singh, Jagat, Edal, Naunihal, Joginder, Sooraj, Akash, Aman, Sanjay and Desh Raj of Sunped village.Central Bureau of Investigation (CBI) sources said the case was registered late Wednesday night and a team of agency officials visited the crime scene on Thursday.According to sources, a special CBI team headed by a Deputy Inspector General-level officer collected forensic and circumstantial evidence from the spot and launched the process to collect information about the crime. A group of upper caste men set ablaze the house of a Dalit, Jitender, in Sunped village in Faridabad district on October 20 morning, in which his wife Rekha, four-year-old son Vaibhav and eight-month-old daughter Divya suffered burn injuries.Vaibhav and Divya later succumbed to burn injuries while their mother is still in critical condition in Safdarjang Hospital in Delhi. Jitender also received injuries while trying to save them.As the incident sparked outrage in the country, the Haryana government decided on a CBI probe.The state government has suspended eight policemen, including the head of Sadar police station, and those deputed to guard Sunped village.The Haryana Police said the arson was linked to a clash on October 5, 2014, in Sunped in which three upper caste people were killed. Three members of Jitender's family were among the 11 jailed for the violence. 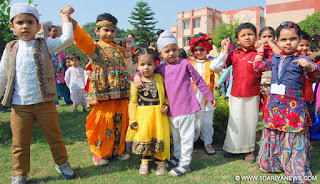 Kinder Piller Ivy School Sector 46 A observed Rashtriya Ekta Diwas to mark birth anniversary of India's Iron Man Sardar Vallabhbhai Patel at its campus to keep in view manpower without unity is not a strength unless is it harmonized and united properly.Tiny tots came dressed in traditional attires to communicate the message of unity in diversity. Various activities like poster making, jingles, paintings, collage making were organized for the students.Sonia Channi ,Principal , Kinderpiller Ivy School said at the moment that Patel was the most effective leader in speech and in action. He was quite tough always in his approach that’s why he was nick named as Iron Man of India. Many interpreted him as a ruler with iron cane in his hand. But he was very simple at his heart, but was never afraid of speaking out when the situation most demanded .It was his bold courage only that brought all the 565 princely states into Indian Union and saved breaking of India into innumerable pieces.